Children can be well served when parents maintain an amicable relationship. Through the structured process of mediation, couples can often set aside hostility and agree on key decisions affecting their children. Mediation can be a highly effective tool for parents to preserve their children’s well-being and the stability of their lives during the often turbulent process of divorce. Mediation takes some of the stress out of child custody conflicts and puts important child-rearing decisions in the hands of the parents rather than the court. Tanya L. Freeman assists her clients develop mediation strategies that often help craft a resolution without the necessity of a trial. In some cases, litigation is necessary to protect a child’s best interests. When one parent refuses to compromise or expresses hostility toward the other parent, negotiations can fail. Sometimes a parent may even pose a danger to the child’s well-being. Child custody attorney Tanya L. Freeman’s approach to litigation may enable you to feel confident that your children are protected and your parental rights are secure. 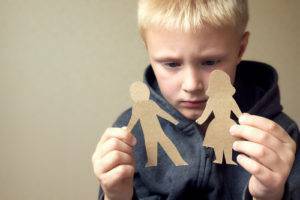 Are you dealing with a potential child custody issue? Contact us today to schedule a free consultation.